You NEED this pie in your life. 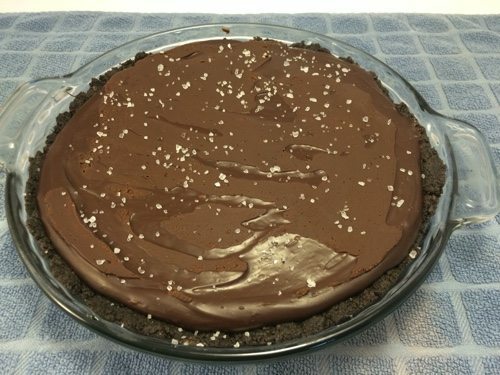 6-ingredient Chocolate Ganache Salted Caramel Pie. It’s so easy to make, and it’s really, really, REALLY rich and sinfully good. 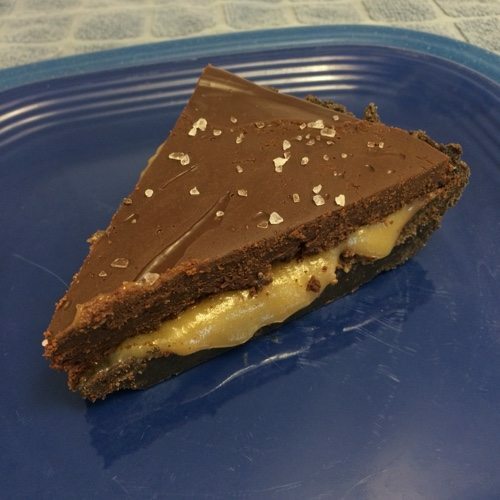 A small piece is enough, and I don’t say that very often when it comes to chocolate — and caramel. 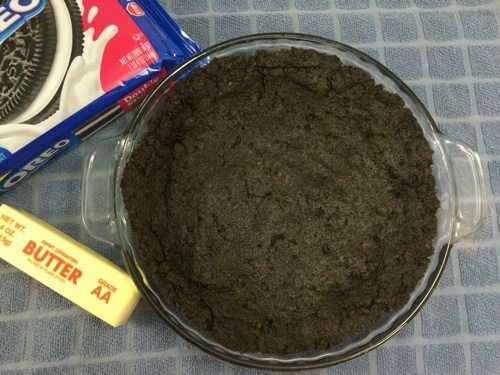 The first step is making the crust, which is crushed oreos and butter. The next step is cooking the caramel. 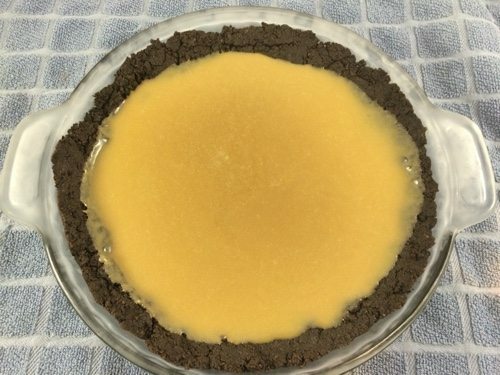 Be sure the crust is cooled well so that it doesn’t melt when you add the caramel layer. We have decided the caramel is truly what MAKES this recipe. We made a similar recipe that used melted caramels (that you buy in a bag at the store) and it was a pale comparison to the real deal that this makes. Cooking and whisking the caramel on the stove. Put this in the fridge or freezer to cool fully, and move on to the ganache layer. 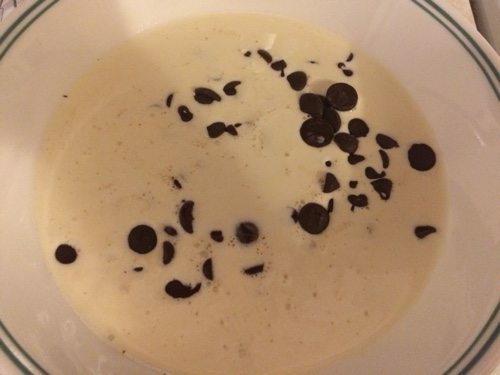 Heat the whipping cream and pour it over the dark chocolate. 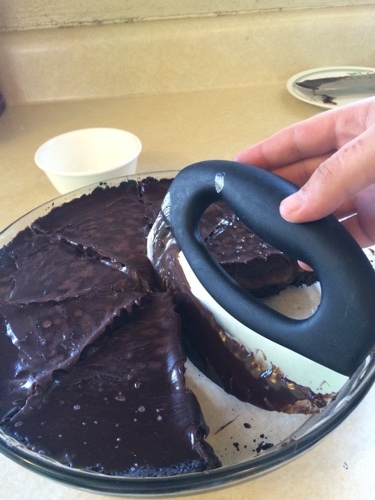 Allow to sit for 5 minutes and then whisk until smooth in order to make ganache. After adding chocolate layer, put in fridge or freezer to set a final time. Add course salt just before serving. Finely crush oreos. Use a food processor or blender to do this most easily. Melt half the butter (8T). Mix the melted butter in with the crushed oreo crumbs. Tip them into a pie pan and press down and up sides of pan until a crust is formed. Freeze for 10 minutes. 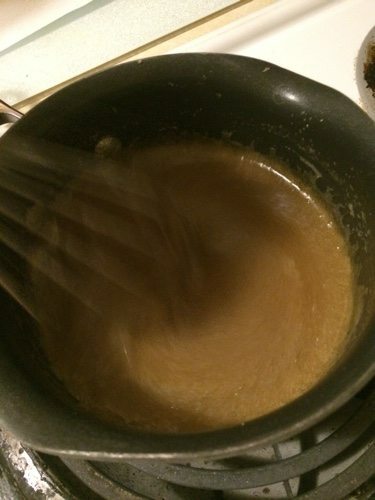 Combine remaining butter (8 T) and brown sugar in a small saucepan and whisk over medium heat. Whisk continuously until mixture starts to bubble. Cook for 1 minute more. Slowly add ¼ cup of whipping cream until smooth. 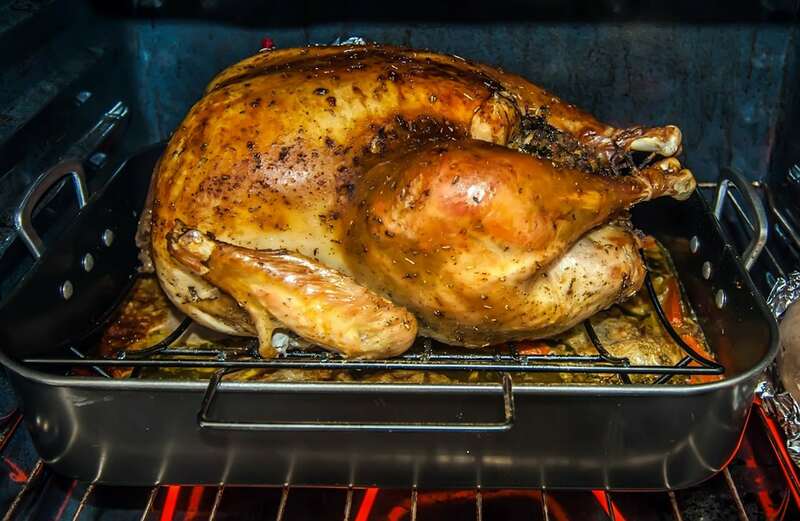 Remove from heat and set aside to cool for 15 minutes. Break chocolate into chunks and place in a heatproof bowl. In another saucepan, bring remaining 1 cup of whipping cream to a boil. Pour it over chocolate and let sit for 5 minutes. Whisk until completely smooth. This creates chocolate ganache. Pour the chocolate ganache over the caramel layer and return to freezer a final 30 minutes, until just chilled and set. Just before serving, sprinkle top with flaky or course sea salt. 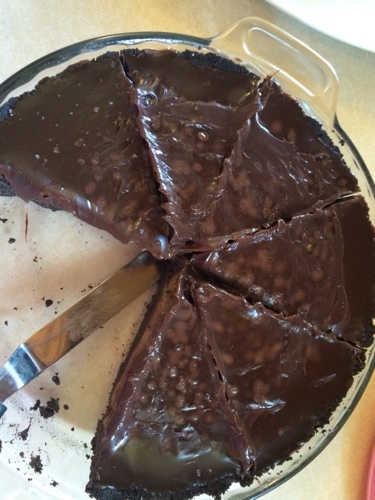 Adapted from Dark Chocolate Pie recipe. 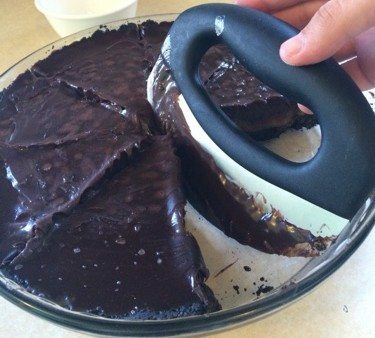 This single blade food slicer is great for cutting a heavy, thick pie such as this one. Hi! I’m Bekah. I’m Sara’s daughter and I’m in culinary school studying to be a sous chef. I’ll be sharing some of my favorite recipes on the blog with you. I LOVE to cook for my family and friends. I love anything with chocolate! This looks and sounds super yummy! I do too! It is really yummy and super easy to make! I’m a huge fan of salted caramel! 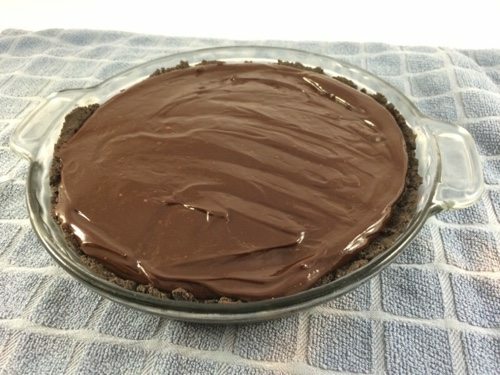 This pie is a perfect dessert for parties! Me too! It would be perfect for parties! I love that this only has 6 ingredients! It looks so good and I can’t wait to try the recipe out. It is super easy and really tasty too! Try it out and tell us how you liked it! 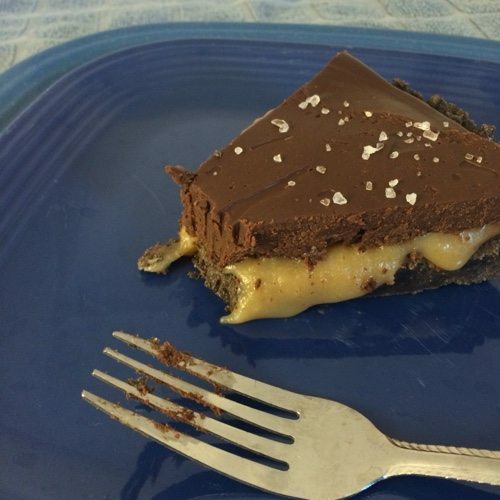 This chocolate ganache salted caramel pie looks and sounds yummy! I can’t wait to see some more of your recipes, Bekah! Your recipe sounds like something my kids would love to eat. Thanks for providing me with my family’s next dessert! Six ingredients to a delicious pie is a wonderful recipe to share. I can’t wait to try it (and it will happen soon!). This looks so delicious and easy to make. I will have to make it for the weekend. I am sure my family will love it. Enjoy. Let us know how you like it. Thanks Anne! It is really easy! Well, I wasn’t sure what to have for breakfast this morning, but I’m pretty sure I should start out my day with this pie! Then I can have leftovers for lunch, dinner, and dessert. Yum! Yum! This looks incredible. I am a huge fan of anything chocolate, but it has so many other amazing flavors included. It’s wonderful! Thanks for stopping by! Sometimes the simplest recipes are the most delicious when you have the right ingredients! I agree — simple is great and this recipe is just the right combo of flavors. 6 ingredients is my kind of recipe! This sounds simply amazing! We love it! Thanks for the comment. Only 6-ingredients?? Now that is my kind of dessert… sounds easy and looks delicious! 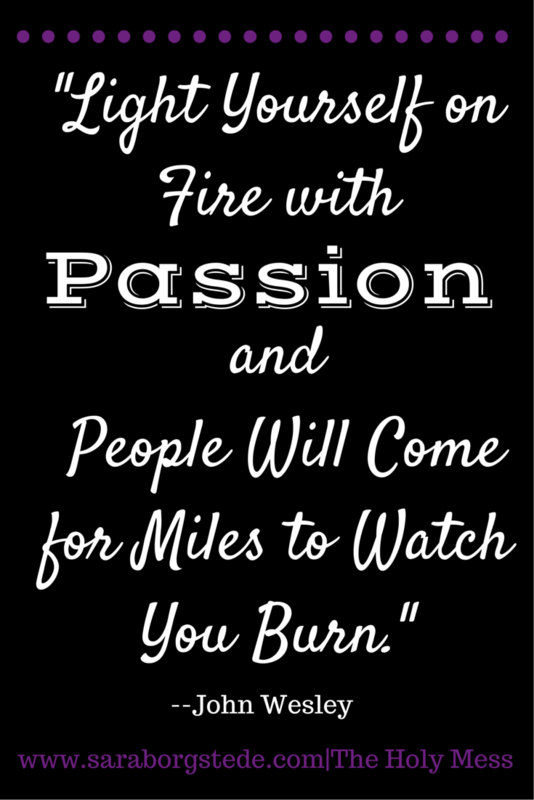 It is easy and the results are amazing. This sounds delicious. I would definitely make this for guests, easy enough that I’m not in the kitchen all day and enjoy time with them! Looks so tasty and easy to make. Desserts are my weakness and I’m sure I would love this since it’s chocolatey goodness. It’s really rich and amazing! Oh yum! Look so good! My whole family would devour that in a heartbeat! Our whole family went crazy for it. Your family will love it! What a delicious looking pie! 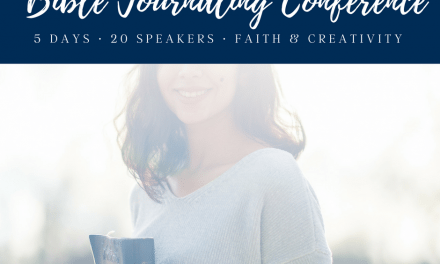 I would love to try this for my family. I may have to try this, asap! Looks so good. Seeing as Oreos are the first ingredient in this pie, I’m going to have to say it’s a winner. I can’t wait to give this recipe a try. The Oreos take it over the top! It’s soo good. The caramel layer is my personal favorite. It’s really creamy and nothing like store-bought caramel. Yum, I wouldn’t mind making a pie this weekend. This one looks so rich and delicious. Try it and let us know what you think. We love it! This sounds so good. I love just about anything with chocolate. Thanks for the recipe. That sounds AMAZING. I love desserts like this and definitely will be adding this to my list of recipes to try.